In Bible Thoughts & Themes Volume 1 Horatius Bonar takes us through the Old Testament highlighting various biblical truths. Each chapter is short, written is a devotional style, powerful and inspirational. 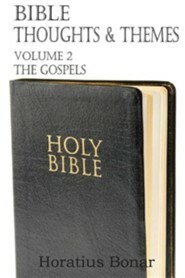 Use this book as a daily devotional or a study guide to spark further reading. Topics covered by Bonar in this volume include: False Religion and Its Doom, Darkness Pursuing the Sinner, What a Believing Man Can Do, The Sin, the Sinner, and the Sentence, The Consecration of Earth's Gold and Silver, And many, many more. Horatius Bonar was a Scottish churchman. poet, voluminous and highly popular author. In addition to many books and tracts wrote a number of hymns, including I Heard the Voice of Jesus Say and Blessing and Honour and Glory and Power. 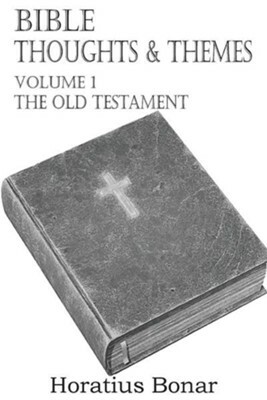 I'm the author/artist and I want to review Bible Thoughts & Themes Volume 1 the Old Testament.